It's no secret that these two are a dynamic duo. They're exceptionally creative, inspirational, extraordinary bloggers and crafters. 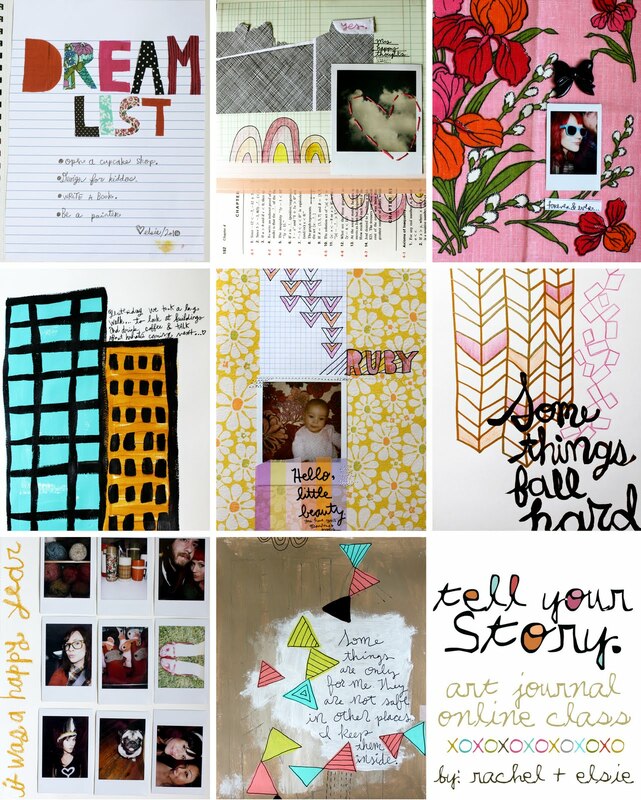 Jump right into spring with a burst of creativity with an art journaling class taught by the best, doing what they do best. Tell Your Story is a six week online art journal class taught by Elsie and Rachel of Red Velvet Art. 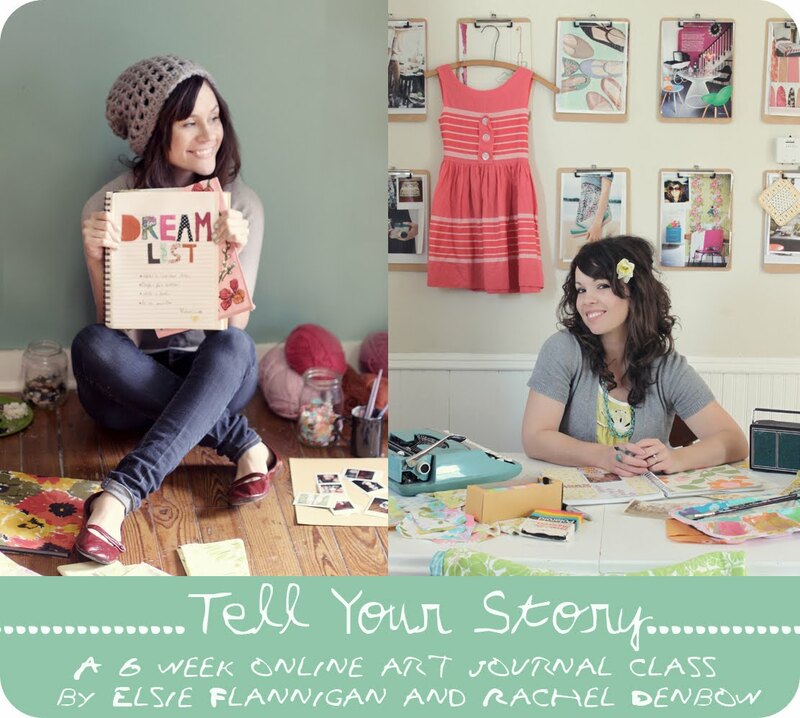 They've designed this class to help you artistically document your daily life as well as your hopes and dreams through daily prompts and challenges. They'll be sharing book making projects as well as tips and tricks for finding and storing your supplies. Along with daily prompts you can participate in live chats to get friendly with your classmates and enjoy Q&A time with your teachers. Click here for registration information and more details or e-mail racheldenbow(at)gmail(dot)com.